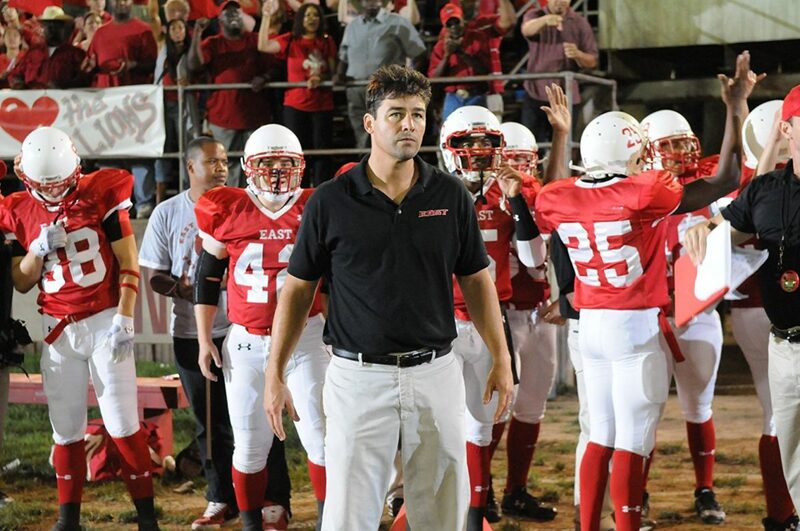 Kyle Chandler in Friday Night Lights in this promotional photo. Football and I have very little in common. I do not play, do not know the rules, have, honestly, never watched an entire game. Alas, this week I muse joyfully on the part of football I adore, I live for: Friday Night Lights. When someone mentions Texas, specifically Austin, my heart races and I ask, “Do you watch Friday Night Lights?” When any high school student is attired in football gear, I query, “Have you ever watched Friday Night Lights?” Should they respond that they haven’t, I am deeply disappointed. In my mind, it is as though a preacher has never read the bible, a physician never studied Grey’s Anatomy, a seamstress never learned to sew. Friday Night Lights IS my football source, all I know about the game, all I really care about when it comes to this great American pastime. Buzz Bissinger travelled to Odessa, Texas and learned all about their football program and wrote a best selling book that transformed into a movie. Billy Bob Thorton played the coach in the film but in the series the coach, Coach Eric Taylor, is played by Kyle Chandler. I have no feelings for Billy Bob, but Kyle Chandler is my boyfriend, the love of my life, my hero. As Coach Taylor, I adore him. When my friend, Liz, told me she spotted Coach Taylor in the Austin airport, I was overcome with jealousy and envy. I would have yelled out, “Clear eyes, clear heart, can’t lose!” And then he would have invited me to spend the rest of his life with Coach Taylor. I’d make a great tv football wife. I’d even learn to make ribs. And, in fact, I did buy the t-shirt AND mug celebrating team Panthers, each item read, “Clear eyes, full heart, can’t lose.” I gave the mug to a graduating senior who played football; the t-shirt is one I wear proudly as a pajama top. Obviously this is my fantasy football, my time with a pigskin, my playbook. But do I apologize? Never. And Buzz Bissinger is my hero, truly. He is the only person who has ever even remotely convinced me that there is something to this game, to the people behind the plays, the hoopla, the Super Bowl. And he also brought me to another beautiful experience, the book he wrote about his cross country driving experience with his son in Father’s Day. Should you be looking for a beautiful read, this would be it. Glorious. And, it’s glorious to think of football with Tim Riggins (QB of Friday Night Lights) and Coach Taylor. I’ll continue musing joyfully about football in Texas the same way I think of Hollywood – something I know very little about but can learn via bright lights, great writing, adorable actors and great plots. 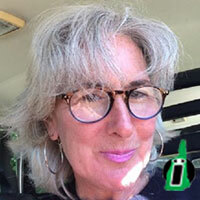 May you muse joyfully with your own clear eyes and full hearts, knowing you, too, can’t lose. Go Panthers.